You are here: Home / Android / Why should you root your Android Device? 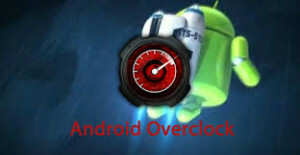 Ever owned an Android device? Yes, then you must have heard about rooting. So what does rooting means? Rooting means gaining root access to your device. It is mostly used by above average users or geeks because it’s a little bit tricky and even one mistake can make your $600 device into a useless brick. But Tech enthusiasts and developers always love to take this risk because they can’t live without it. While other bloggers do so because they provide How to guides and this is their way of earning. If you happened to planned to root your Android device then after rooting the device one can have complete control over the device and have deepest level access. One can modify device according to his/her need in other words you are almost hacking your device also you can break your device if something goes wrong and even if your device works fine but your warranty will be voided so keep all these things in mind. So in the end you rooted your Android device now wonder what you can do with your rooted device so here is the list of some important applications you should install and some must to do things to do after rooting your Android Device. One of the main purpose or rooting your Android device is to install custom ROMS and this is the one of the most important things to do after rooting their Android device and we also recommend the same. Custom ROM provide your old Android device a new house to stay in. Custom ROMS are so popular because the UI interface provided by manufacturers is usually full of bugs and bloat ware. Also it takes minimum 8 months after the release of new version by any Android phone making company to provide you with the latest update. There are lot of different type of custom skins such as AOSP, AOKP, MIUI and more. 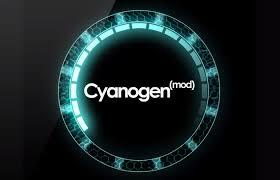 You can find custom skin your device from Internet or you can even download from CyanogenMod ROMS. All the Android devices are victim of low internal storage. Even if you take the example of Samsung Galaxy S4 it has got only 8GB free space out of 16GB which means if you install two three HD games then it will surely show up low storage warning. So to deal with this problem you need to free up your internal storage by moving your application data to External SD card which is only possible by rooting your device. Some Custom ROMS do have this feature built-in. The application which is possible of moving application Data from SD card to external SD card is Links2SD though there are many others which you can choose to perform the task. 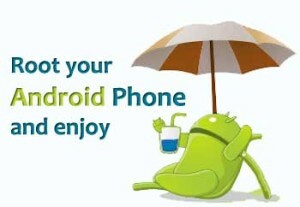 After rooting your Android device it is high time to get rid of bloat ware. Basically bloat ware are the application which every mobile manufacturing company and network carriers add up in their device so to promote themselves in a way. These are mostly useless application and are also impossible to remove from your device unless you have rooted it. So after rooting your Android device you should remove them as soon as possible. There is a famous application named Titanium Backup which is capable of doing so also it can back up your application data. This application is highly popular among people who root their device. Application is available free of cost at Play Store though Pro version is also there which is paid. So you can free up some memory by deleting them. Download free application. So you joined the gym and you are not taking the required diet. Then it’s o no use to go to gym as you are not giving your body enough supplements. This case is similar to rooting your device because after rooting you get freedom and what’s the use of that freedom if you are not going to use it. We recommend you to use that freedom because rooting gives you the power to over clock and under clock the processor of your device. There are tons of applications present in Android Store and they will automatically decrease the processor speed when you are not using device and even over clock it when phone needs it like it can over clock while performing heavy tasks such as playing HD games and more. SetCPU is one of the applications that can serve your purpose. These were some of the must do things after rooting your Android device and there are more actually there is no end to the powers one acquire after rooting your device and these are just basic To-Do steps. Did you like the guide do tell us in comments below and even ask us if you are facing any difficulty.